For a long time now, trampolines have been a staple in many homes and can serve multiple purposes, such as for play and exercise. In recent years, however, people have been more creative and were able to come up with new ways to make use of their trampolines. Today, the concept of trampoline tent and trampoline bed has been creating buzz. The best thing about having a trampoline tent and trampoline bed is that you can use your imagination to come up with a design that suits your needs. You can mix and match different colors and styles depending on what you want. If you still have not considered making a tent or bed out of your old trampoline, chances are, it is because you do not know their benefits. Keep on reading and we’ll share with you some of the benefits of having such. 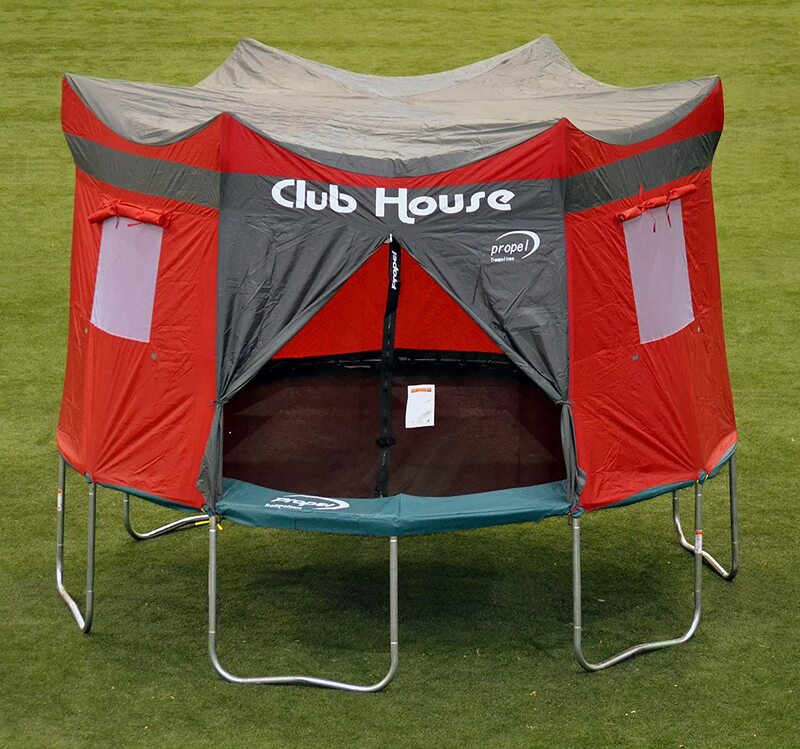 Basically speaking, a trampoline tent is what the name implies – it is a trampoline with an enclosure, which makes it look like a tent. Unlike regular tents, however, you are not able to take it camping because of its large size, but it is good enough to be used in the backyard. There are trampoline tents that are commercially-available, which can be purchased already built. If you have the effort and creativity to spare, on the other hand, you can create the tent on your own, which is better since you will have better control on how the outcomes will turn out to be. It provides an excellent place for sleeping outdoors. This is good for naps during the afternoon after playtime of kids. With a tent, you can sleep while being protected from mosquitoes and other insects. This is possible because the place is enclosed, unlike in the case of a trampoline bed where space is open. You can be more creative in coming up with your own tent. From the design to the color of the walls and roof, you will have a variety of choices to have it built based on your specifications. The output is a tent that matches your personal preferences. Another thing that makes trampoline tent impressive is the fact that it offers privacy. Since there is a closure in the walls, the people inside cannot be seen from the outside, unlike in the case of a trampoline bed, which is more open. The main difference between a trampoline bed and tent is the absence of an enclosure. In the case of a trampoline bed, there is a bounce mat, but it functions more of like a normal bed and not a tent, which can be used both indoors and outdoors. A trampoline bed can be used by both adults and kids, depending on the strength of the foundation. Just like in the case of tents, it is important to make sure that it is used based on the maximum weight that it can support. It can be used even indoors and it won’t consume too much space at home since there is an enclosure or roof. It can function just like a normal bed, except that there is a bounce mat, which makes it more unique. Simplicity is another reason why you might want to have a trampoline bed. All that you need is a bounce mat and you can have it immediately converted into a comfortable bed for sleeping, unlike in the case of a tent where there is a need for you to build an enclosure. If budget is an issue, you have another reason to resort to a trampoline bed instead of a tent. Whether you pick one that has already been built or you plan on building one all by yourself, the price is not too much. In sum, having a trampoline tent and trampoline bed can be beneficial in more ways than one. It is now about time to make use of your old trampolines and turn it into something that is more functional and enjoyable! If you want the best of both worlds, it would be better to resort to building a trampoline tent instead. It can already be functional as a bed, which is made even better by the inclusion of an enclosure, which will make it offer privacy. What are you waiting for? If you have an old trampoline that is not being used, now is the right time to get more creative and use it in a unique way! It is sure to be a nice addition to your house, whether it is used indoors or outdoors.